Super Savings Item! 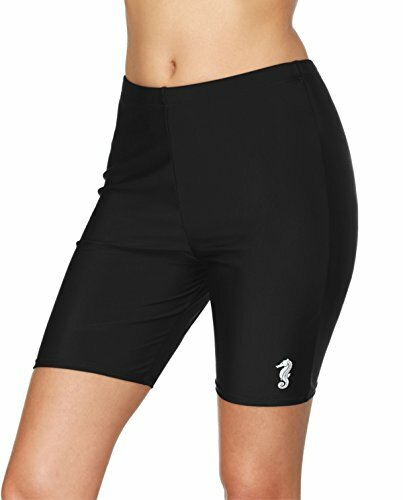 Save 35% on the Anfilia Women Long Board Shorts Swimsuit Bottom Swimming Jammer Large by Anfilia at Lamont Design. Hurry! Limited time offer. Offer valid only while supplies last. Anfilia Ladies Long Swim Board Shorts Jammers Tumy Control Tankini Bottom Quick Review: 1. Material: 82% Nylon, 18% Spandex, Lining 100% Polyester. View More In Board Shorts. 1. Material: 82% Nylon, 18% Spandex, Lining 100% Polyester. 2. Beach shorts with Wide Waistband for custom fit. 3. Fully Lined, High Waist, Simple solid color. 4. Tankini shorts with elastic and quick-drying fabrics. 5. Package: 1 * Bikini Bottom. If you have any questions about this product by Anfilia, contact us by completing and submitting the form below. If you are looking for a specif part number, please include it with your message.